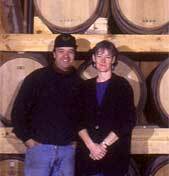 Louis and Margaret Chatey live on Louis' family property, which is now also the site of Westford Hill Distillers. Margaret combines business experience with her agricultural heritage in operating the distillery. The goal is to produce quality brandies from locally-grown fruit, while preserving the rural nature of the family's homestead. A former advertising executive who was raised on a Guernsey farm in New Hampshire, Margaret enjoys managing every facet of the business, from mashing to marketing. Although the Chateys do not presently grow their own fruit, plans include an orchard of rare "heirloom" apple trees and pear trees to add additional flavor complexity to their aged brandies. Westford Hill Distillers is not licensed to sell directly to the public. Though daily tours are unavailable, we schedule open houses throughout the year. If interested, please contact us. For a listing of retailers who sell our products click here. 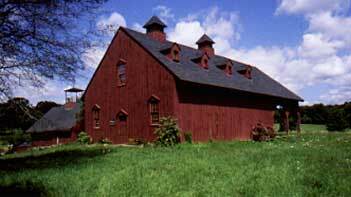 England barn, and overlooks a three-acre pond and Westford Hill.